Check out this list of restaurants provided by Coupon Sherpa that are honoring veterans and/or active military members and their families this Veterans Day by providing discount or free meals. Veterans and active military can enjoy a free meal from a special Veteran’s Day menu featuring seven savory options. 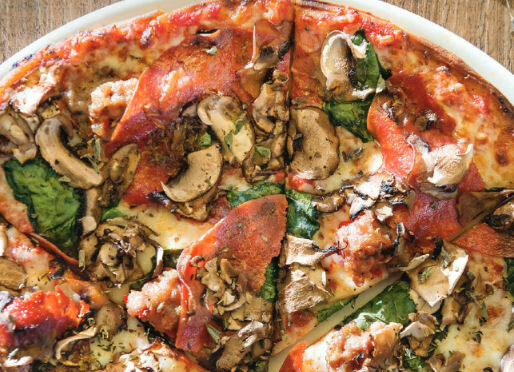 CPK is generously offering a free meal from a special Veteran’s Day menu featuring several pizza, salad and pasta options. Get a free entree valued up to $15. Receive a free All-American Burger and fries with a beverage purchase of $1.99 or more. From 5 a.m. to noon on Tuesday, veterans and active military can enjoy a free Build-Your-Own Grand Slam. Receive a free meal up to $10.99 with a drink purchase. Enjoy free Red, White and Blue Pancakes. Have breakfast on Krispy Kreme with a free doughnut and small coffee. Veterans and active military can enjoy a free doughnut and 12 oz. coffee from LaMar’s Donuts. Choose a free entree from the special Veterans Day menu on Nov. 9, plus get 50% off a bottle of Golden Hook Wine. Choose from any of the free entrees on their special Veterans Day menu. On Tuesday, veterans and active military get a free Bloomin’ Onion appetizer and Coca-Cola beverage. From Nov. 12 through Dec. 31, active and retired military and their families can get 15-percent off their checks with valid military ID. Choose from 11 different free appetizer options. Not only do you get a free Tavern Double burger, you also enjoy free Bottomless Steak Fries at participating locations. Enjoy a free appetizer from Ruby Tuesday. Your choice of a free lunch from three entree options, plus free coffee, tea or fountain drink, when you dine before 4 p.m. Participating locations of Starbucks will offer a free Tall (12 oz.) brewed coffee to veterans, active military and their spouses. Choose from select menu items for your free lunch from 11 a.m. to 2 p.m.